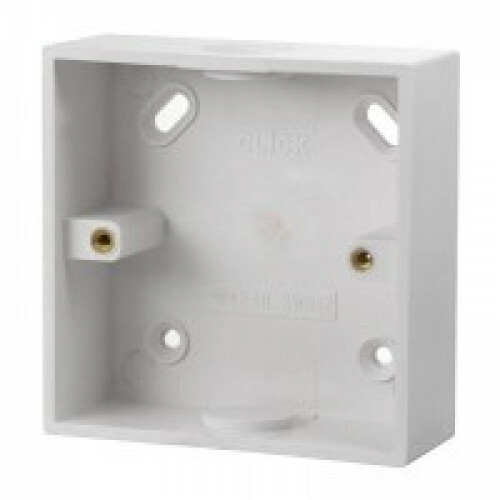 This format of accessory box provides entry facilities for both mini trunking and conduit. 1 Gang offers 1 x 20mm conduit k.o. and 1 x Mini Trunking k.o. centrally located on opposite sides.